Opening weekend for our production of the Cole Porter musical Kiss Me, Kate at the Palladium Theater was a sold out, across-the-board smash! 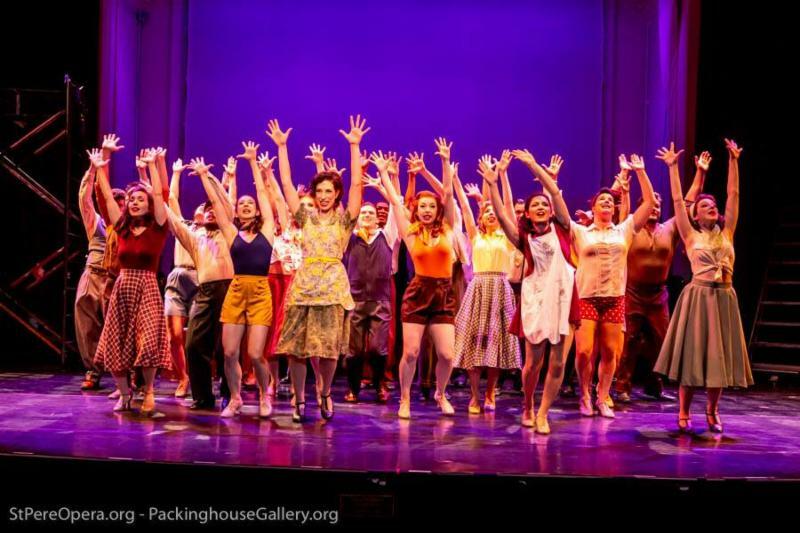 Audiences thrilled to the live-on-stage, Broadway-style orchestra, and to the exuberant and virtually non-stop dancing in this hilarious, and terrifically tuneful, high-energy show. Three performances remain, at 7:30 p.m. Tuesday (Feb. 5) and Friday (Feb. 8), and at 2 p.m. Sunday, Feb. 10. If you haven’t purchased your tickets yet, you can get them here, or via the Palladium Box Office: (727) 822-3590. Don’t wait – now that the word is out, they’re going fast! Musical direction for Kiss Me, Kate: Maestro Mark Sforzini. Stage direction and choreography: Daryl Gray. Co-sponsored by Brad and Mary Ann Morse. Photos by Jim Swallow/Packinghouse Gallery.